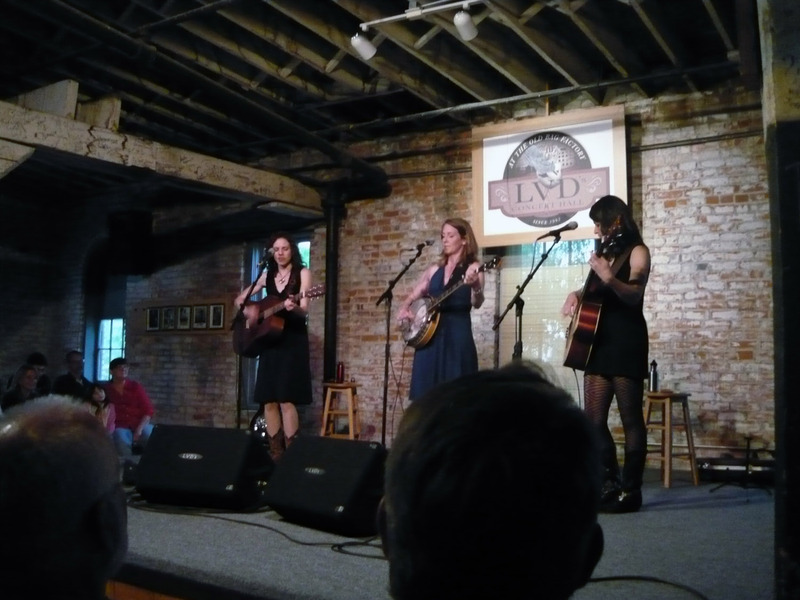 We went to LVDs in Goshen, Indiana last night and saw the great folk group, Red Molly in performance. This was one of the most pleasant concerts we’ve attended in a long time. The music was flawless, performances top notch, and lots of witty, funny bantering with the audience. Great entertainment. For the months of March and April of this year Red Molly had four songs in the ten most played list on folk radio stations around the world, and held the number spot for most played performers on folk radio during that time. Hearing them live is even better than hearing them on the radio or the iPod. This is a photo I took from the second row last night. The band shows up pretty well, as does the nice head of hair on the guy in front of me. I should have taken the front row seats when I had the chance. This is a video of Red Molly performing their acapella version of Susan Werner’s song, “May I Suggest”, which they used as their encore last night. This is one of my favorite songs and they perform it impeccably on the video, but last night’s rendition was even more chilling.